It was a fantastic day that generated energy, enthusiasm, and camaraderie. 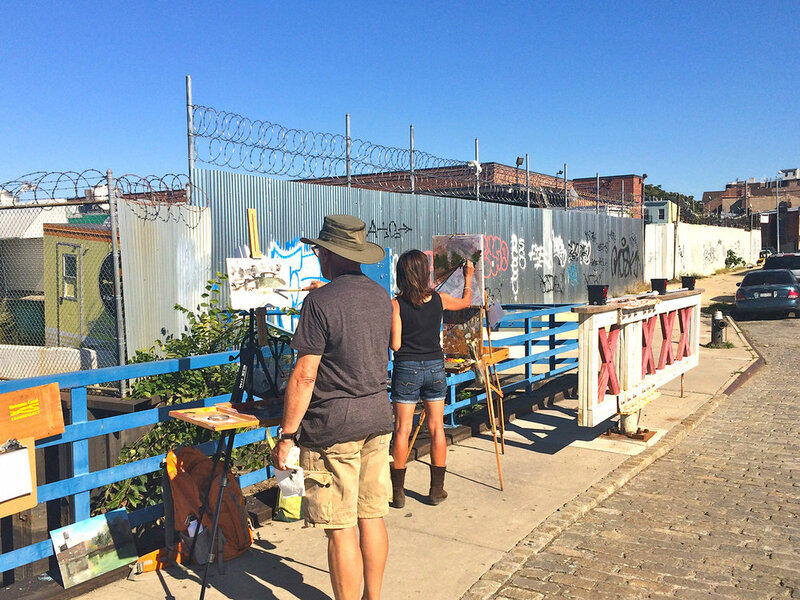 Over 40 artists came out ￼to capture the Gowanus Landscape on September 27, 2014. Local artists joined artists from Manhattan, Queens, New Jersey, Westchester, and Connecticut. 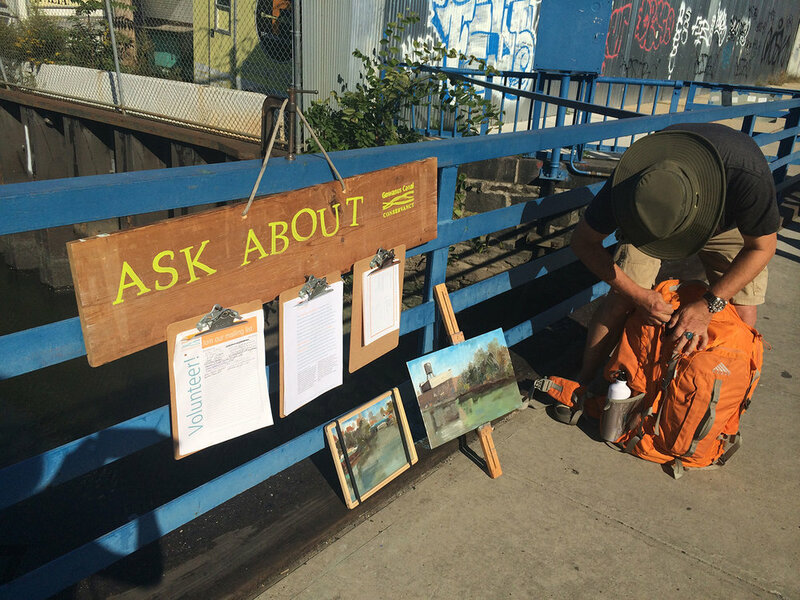 Several art collectives were represented including NYC Urban Sketchers, the Gowanus Swim Society, and Oil Painters of America. The herd of sketchers attracted the attention of the community fostering a dialogue about the canal, the Conservancy, and its mission. ￼Over 100 impressions were created over the 7 hour period. The artists sketched from the vantage point of the Salt Lot, the Whole Food’s promenade, the 2nd street boat dock, and the Carroll street bridge. Some set up easels to oil paint while others sat with sketchbooks using pencil, ink, water color, pastel, iPad, and camera. Many of these sketches were included in a slideshow at the GCC Annual Members’ Meeting and a small selection were auctioned off at the Annual Benefit: The Anti-Freeze.